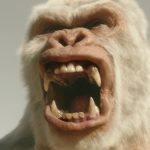 Après la bande annonce du 3×13 dans laquelle Gorilla Grodd signe son grand retour dans The Flash, je vous propose aujourd’hui de découvrir les photos promotionnelles de cet épisode très attendu intitulé « Attack on Gorilla City » qui sera diffusé sur la CW le mardi 21 février. 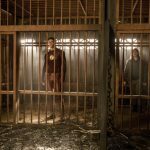 Dans la galerie de photos du 3×13 de The Flash, on retrouve toute la team en danger dans ce qui ressemble à une prison du monde de Gorilla City. 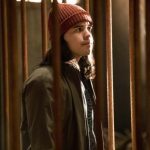 The Flash — « Attack on Gorilla City » — FLA313d_0107b.jpg — Pictured: Carlos Valdes as Cisco Ramon — Photo: Jack Rowand/The CW — ÃÂ© 2017 The CW Network, LLC. All rights reserved. The Flash — « Attack on Gorilla City » — FLA313d_0437b.jpg — Pictured (L-R): Danielle Panabaker as Caitlin Snow, Grant Gustin as Barry Allen, Carlos Valdes as Cisco Ramon and Tom Felton as Julian Albert — Photo: Jack Rowand/The CW — ÃÂ© 2017 The CW Network, LLC. All rights reserved. 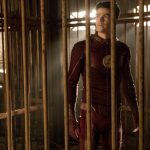 The Flash — « Attack on Gorilla City » — FLA313d_0444b.jpg — Pictured: Grant Gustin as Barry Allen — Photo: Jack Rowand/The CW — ÃÂ© 2017 The CW Network, LLC. All rights reserved. 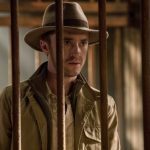 The Flash — « Attack on Gorilla City » — FLA313d_0115b.jpg — Pictured: Tom Felton as Julian Albert — Photo: Jack Rowand/The CW — ÃÂ© 2017 The CW Network, LLC. All rights reserved. 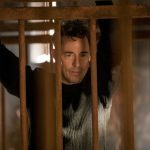 The Flash — « Attack on Gorilla City » — FLA313e_0210b.jpg — Pictured: Tom Cavanagh as Harrison Wells — Photo: Jack Rowand/The CW — ÃÂ© 2017 The CW Network, LLC. All rights reserved. 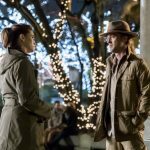 The Flash — « Attack on Gorilla City » — FLA313e_0230b.jpg — Pictured (L-R): Tom Cavanagh as Harrison Wells and Danielle Panabaker as Caitlin Snow — Photo: Jack Rowand/The CW — ÃÂ© 2017 The CW Network, LLC. All rights reserved. 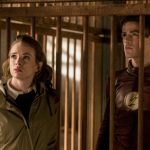 The Flash — « Attack on Gorilla City » — FLA313e_0401b.jpg — Pictured (L-R): Danielle Panabaker as Caitlin Snow and Grant Gustin as Barry Allen — Photo: Jack Rowand/The CW — ÃÂ© 2017 The CW Network, LLC. All rights reserved. 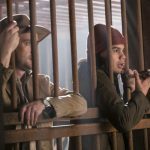 The Flash — « Attack on Gorilla City » — FLA313e_0029b.jpg — Pictured (L-R): Tom Felton as Julian Albert and Carlos Valdes as Cisco Ramon — Photo: Jack Rowand/The CW — ÃÂ© 2017 The CW Network, LLC. All rights reserved. 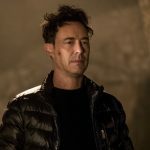 The Flash — « Attack on Gorilla City » — FLA313d_0425b.jpg — Pictured: Tom Cavanagh as Harrison Wells — Photo: Jack Rowand/The CW — ÃÂ© 2017 The CW Network, LLC. All rights reserved. 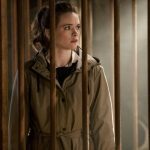 The Flash — « Attack on Gorilla City » — FLA313a_0067b.jpg — Pictured (L-R): Danielle Panabaker as Caitlin Snow and Tom Felton as Julian Albert — Photo: Katie Yu/The CW — ÃÂ© 2017 The CW Network, LLC. All rights reserved. 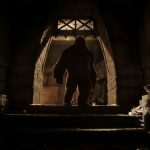 The Flash — « Attack on Gorilla City » — FLA313_044.jpg — Pictured: Grodd (voiced by David Sobolov) — Photo: The CW — ÃÂ© 2017 The CW Network, LLC. All rights reserved. 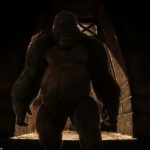 The Flash — « Attack on Gorilla City » — FLA313_0183.jpg — Pictured: Grodd (voiced by David Sobolov) — Photo: The CW — ÃÂ© 2017 The CW Network, LLC. All rights reserved. 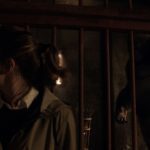 The Flash — « Attack on Gorilla City » — FLA313_005.jpg — Pictured (L-R): Danielle Panabaker as Caitlin Snow and Grodd (voiced by David Sobolov) — Photo: The CW — ÃÂ© 2017 The CW Network, LLC. All rights reserved. 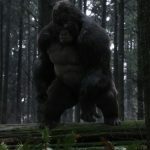 The Flash — « Attack on Gorilla City » — FLA313_00108.jpg — Pictured: Grodd (voiced by David Sobolov) — Photo: The CW — ÃÂ© 2017 The CW Network, LLC. All rights reserved. 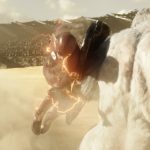 The Flash — « Attack on Gorilla City » — FLA313_0023.jpg — Pictured (L-R): Grant Gustin as The Flash and Solovar (voiced by Keith David) — Photo: The CW — ÃÂ© 2017 The CW Network, LLC. All rights reserved. The Flash — « Attack on Gorilla City » — FLA313_00106.jpg — Pictured: Solovar (voiced by Keith David) — Photo: The CW — ÃÂ© 2017 The CW Network, LLC. All rights reserved.